This item has been used a few times. It is in great shape and functions as intended. It comes with the original box and instructions. 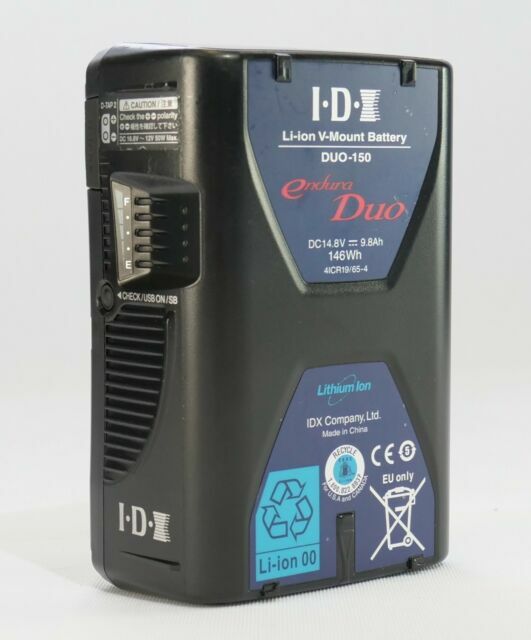 "DUO150 is a high-performance Li-Ion V-Mount battery with a 146Wh capacity and ability to handle 10A/120W loads. 146Wh capacity. Battery Capacity 14.8V, 9.8Ah, 146Wh . Manufactured in co-operation with Sanyo (the world’s premier supplier of Lithium Ion cells)."